This is a good Computer science project report on Load Balancing in MANET with Node Traffic Flow for master and thesis work. Mobile Adhoc network is a dynamic on the fly network which contains mobile communication without any base station and channel contention is resolved through distributed coordination function at the MAC layer. Therefore flow control is a major issue in such a network. You can also Subscribe to FINAL YEAR PROJECT'S by Email for more such projects and seminar. 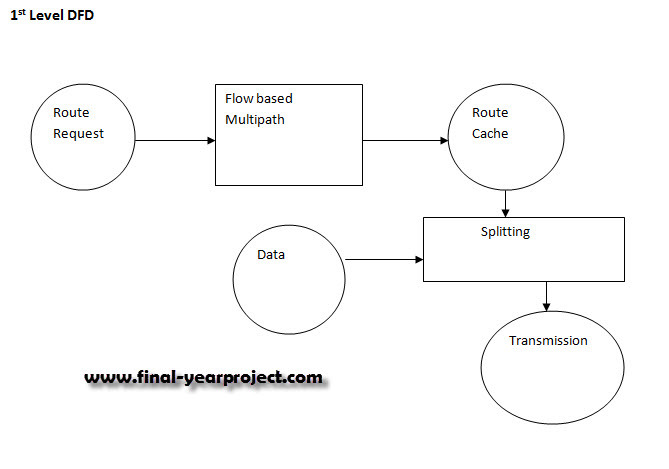 In this project we develop a unique solution for MANET by introducing the flow based multipath concept whereby a node participates in the routing if only it satisfies the flow criteria ( or maximum flow or session a node can handle). Use this project report for your reference work only.